Welcome to crystal unicorn, a website dedicated to de-mystifying mediums and mediumship. My name is Jane Howard and I am a professional medium based within Essex in the United Kingdom. This website is my professional point of contact for all things spirit related and I invite you to please browse around at your leisure. Tarot card readings and clairvoyance are the central focus of the website and I hope that by using this resource you can come to you a more enlightened understanding of what exactly a medium can offer and should you feel the need or desire too you can easily contact me and arrange for a consultation. Physical contact is not a requirement of mediumship (we are communicating with spirits after all!) and therefore I am able to provide consultations over the phone or through skype and whatsapp. To arrange a consultation now ring 07851 338 191. Tarot card readings, Clairvoyance and Mediumship are the central focus of the website and I hope that by using this site you will have a more enlightened understanding of what exactly a medium can offer. Should you then feel the need to contact me and arrange a consultation this can be done very easily. Physical contact is not a requirement of mediumship (we are communicating with Spirit after all!) and I am therefore able to provide consultations over the phone, by e-mail and, in the near future, from within the website itself. To arrange a consultation please call 07851338191. 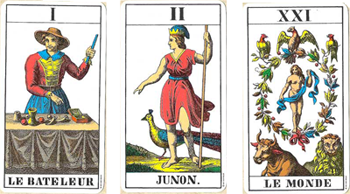 The exact date of the first use of Tarot Cards is not known. The oldest surviving deck dates from the fifteenth century. Tarot has survived the rigors of time, repression and persecution – the ridicule that tarot has suffered at the hands of people whose view of life is very blinkered and narrow is great. There are 78 cards to a deck, split into two parts, Major and Minor Arcana. I have the Swiss JJ Tarot deck and the 22 cards of the Major Arcana are the ones that I continually use. These cards are also known as “Trump” cards, a derivative of “Triumph”, that refers to the fact that the cards of the Major Arcana are above those of the Minor both in order of appearance and, more importantly, spirituality. I believe using these cards gives a much more “in depth” reading. There are countless ways to “spread” the cards and over the years I have devised my own way of doing this, it’s part Celtic Cross and part Jane Howard! The important thing is …..it works! A medium is a bridge between the two worlds – this one and the next. Everybody is psychic – we all have hunches and have drawn on intuition to guide us when we’re in trouble or have a difficult decision to make. Whether we retain these psychic abilities depends on how much we use them – practice makes perfect! We’re all born intutitive and if we remain open and are sensitive to others we can all connect with spirit. A medium’s true role is to give evidence of life after death – a description of a loved one, names, personal information and memory links all help to identify the spirit communicating during a reading. All mediums are psychic but not all psychics are mediums. Psychics are sensitive to the energies that emanate from their surroundings and from those energies they can tell all about a persons physical and emotional wellbeing and can offer help and advice about any problems or decisions. However, a medium or psychic must NEVER make another persons decision for them – we must remember we all have free will!